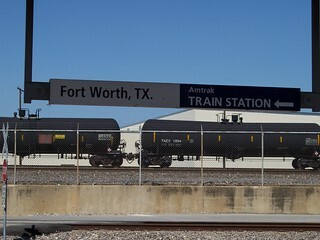 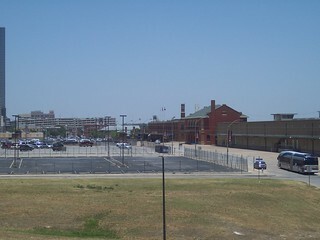 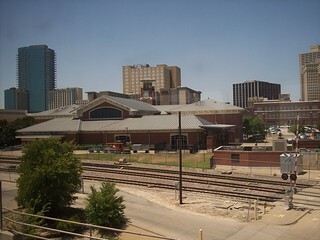 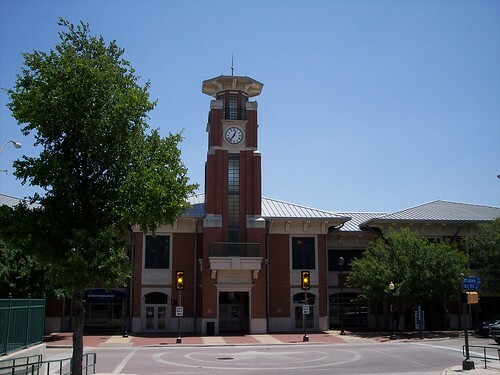 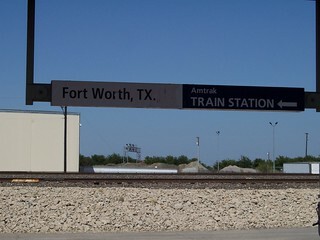 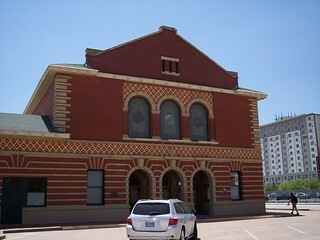 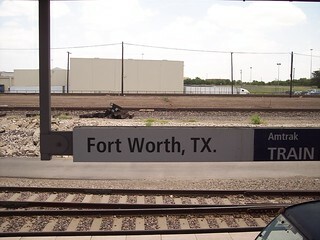 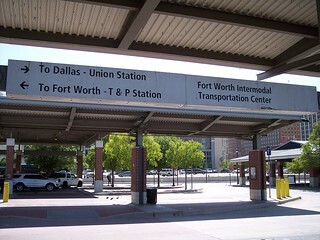 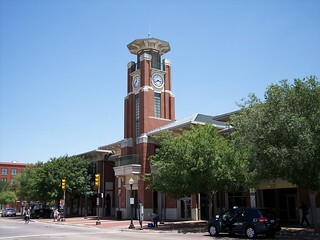 The Fort Worth Intermodal Transportation Center. 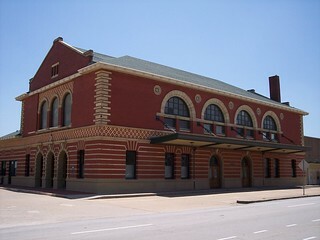 The front and rear of the station. 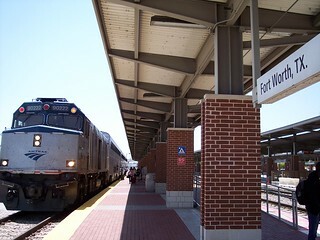 The Amtrak Heartland Flyer at the station. 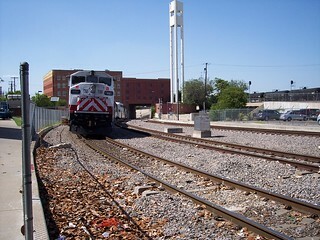 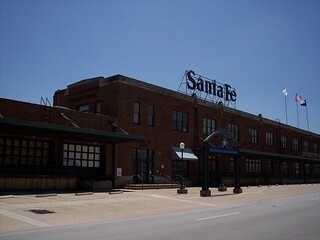 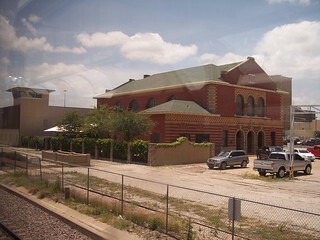 The former Santa Fe station is nearby. 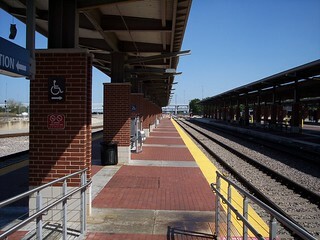 Platform stairwells from the old station are still visible. 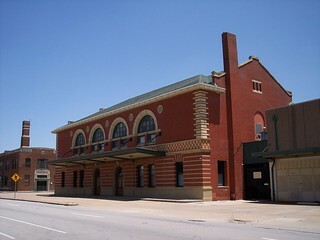 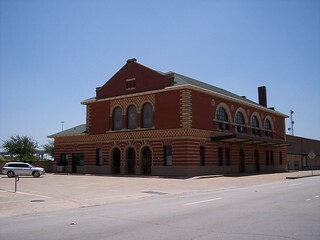 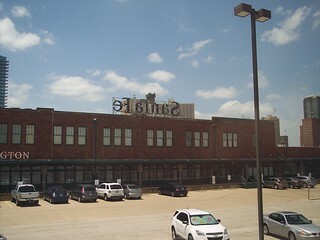 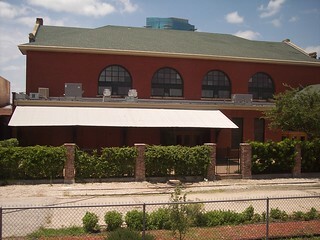 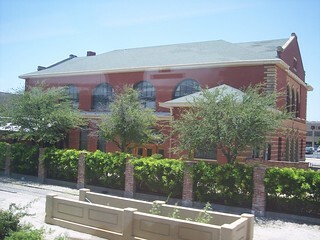 The old Santa Fe freight station.